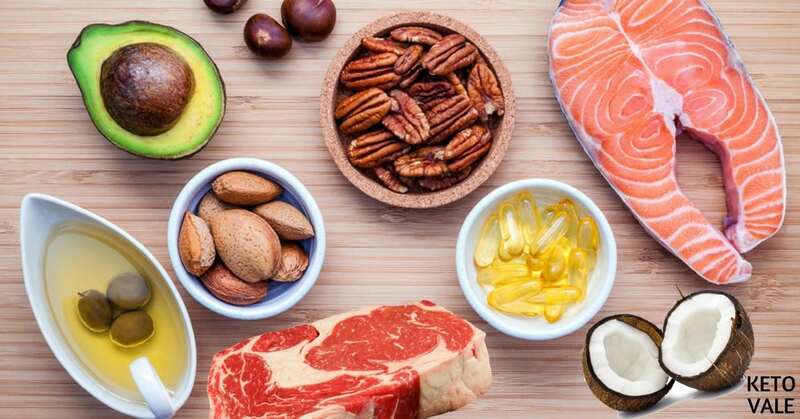 Following a ketogenic diet doesn’t mean that you need to be gulping fat by the spoonful, however, depending on the amount of fats you were consuming prior to starting, you are likely to need to increase them in order to answer to the caloric needs of your body and to make the diet sustainable and easy to follow. One thing that is extremely important is the quality of the fats that you’re eating – you need to reduce the use of highly processed, inflammatory fats, and instead concentrate on their healthy alternatives. Which fats should you choose? The list below will help you figure out how to eat more fats on a keto diet. Below you’ll find our selection of the best fats for keto. One of the best oils that you can eat, regardless of diet. It is similar to olive oil in regards to its fatty acids profile, however, it is more heat-stable, which makes it a good choice when cooking. Avocado oil is rich in oleic acid (a monounsaturated omega-9 fatty acid), which is beneficial for the heart and the cardiovascular system. It reduces the levels of triglycerides and LDL (the “bad”) cholesterol, while increasing HDL (the “good”) cholesterol, thus improving your blood lipid profile. Moreover, it has antioxidant properties and might help combat arthritis. Tips: You can use it for salads, cooking, or even to make your own homemade mayonnaise. 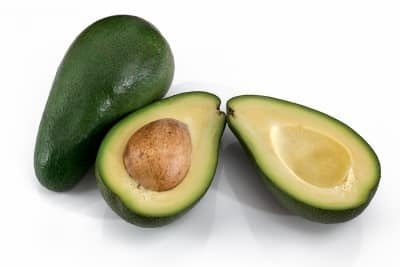 Avocado fruit itself is also the best healthy fat you can eat on keto too. Olive oil comes in a few versions – extra virgin, virgin, and refined. Extra virgin will carry the most flavour and is the least refined of the three, however, it is relatively unstable, so buying local is a good idea. 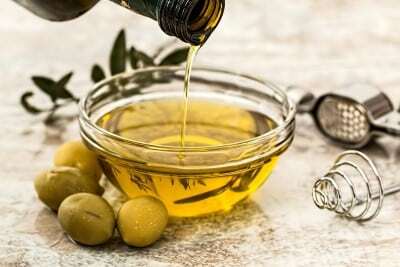 Extra virgin olive oil has long been known as one of the healthiest fats out there, due to its high monounsaturated fat content (78%), and the amount of antioxidants it contains. It has been used for centuries by people in the Mediterranean and has been linked to prevention of heart disease in these populations, so if you’d like to use products that have survived the test of time, extra virgin olive oil is a good bet (1). Tips: It is delicious on salads and can be used for light sautéeing. It’s not advisable to use it for frying or for baking, as it has a relatively low smoking point. It is highly controversial – many people swear by it, and many avoid it, ironically always for the same reason – the fact that it is high in saturated fats. In short, as research from the past years suggests, you don’t actually need to fear saturated fat, and especially not the type of saturated fat contained in coconut oil – medium-chain fatty acids. Moreover, it has been linked to increasing HDL (the “good”) cholesterol and reducing waist size in patients suffering from heart disease. Doesn’t sound so scary, after all (2). You can use coconut oil for cooking, baking, or even apply it on your skin as a moisturizer. Virgin coconut oil should smell like coconut, while the refined one will usually have no scent. If you have a choice, opt for virgin. It is hard at room temperature but melts easily when heated. Tips: Excellent for cooking and baking. MCT oil, or medium chain triglycerides, is a type of fat that your body uses instantly instead of storing it. 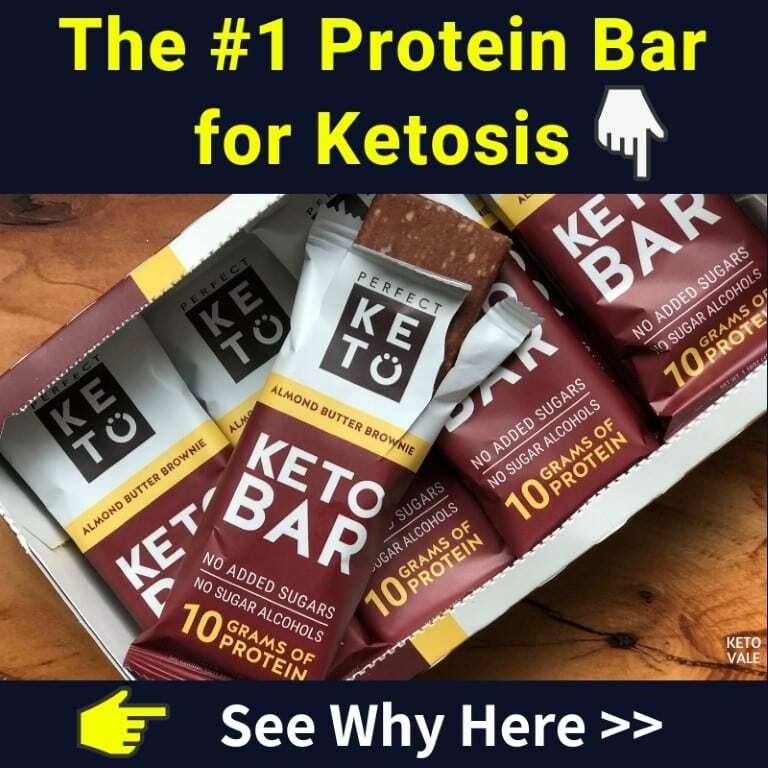 Many people in the keto community swear by it, as it will give you an energy boost and aid ketone production. MCT oil is naturally contained in coconut oil and in animal fats, although the percentage of MCT in these is relatively low. Coconut oil has around 55%-62% MCTs, while MCT oil contains 100% MCTs making it much more effective at raising ketones than coconut oil. The pure form of MCTs, isolated version, is getting more and more popular, though, and it can be found either in a liquid form (MCT oil) or a powder form (MCT Powder). There are 4 types of MCTs: C6, C8, C10, and C12. However, caprylic acid (C8) is the most desirable type when it comes to weight loss, hunger control, cognitive function, and energy (3, 4, 5). The amount of MCTs in coconut oil is mostly lauric acid (C12). It has smaller amounts of caproic acid (C6), caprylic acid (C8) and capric acid (C10). Therefore, when choosing the best oil for ketosis and health benefits in general, MCT oil is the real deal, and try to choose products that contain mostly C8 if you can. 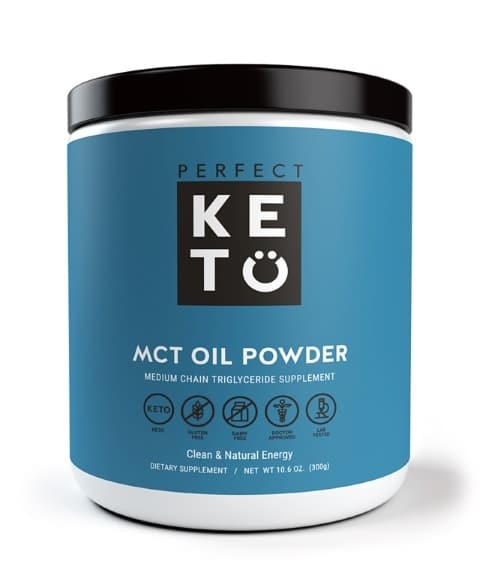 You can use MCT oil in many keto recipes such as drinks including coffee and smoothie. For example, we made our Bulletproof Coffee and Keto Oatmeal using MCT oil. Tips: For some people, it might cause upset stomach, so when you first try it, only ingest a small amount to see whether you’re not too sensitive to it. You can use MCT oil as a creamer for your coffee, or add it to your smoothies, or drizzle it on your food. If you experience digestive issues with MCT Oil, try using MCT Powder instead. It’s much easier on your digestion. When it comes to choosing the best MCT products or knowing where to buy MCT oil, it can be overwhelming at first because some products are not reputable and might have low-quality MCTs. 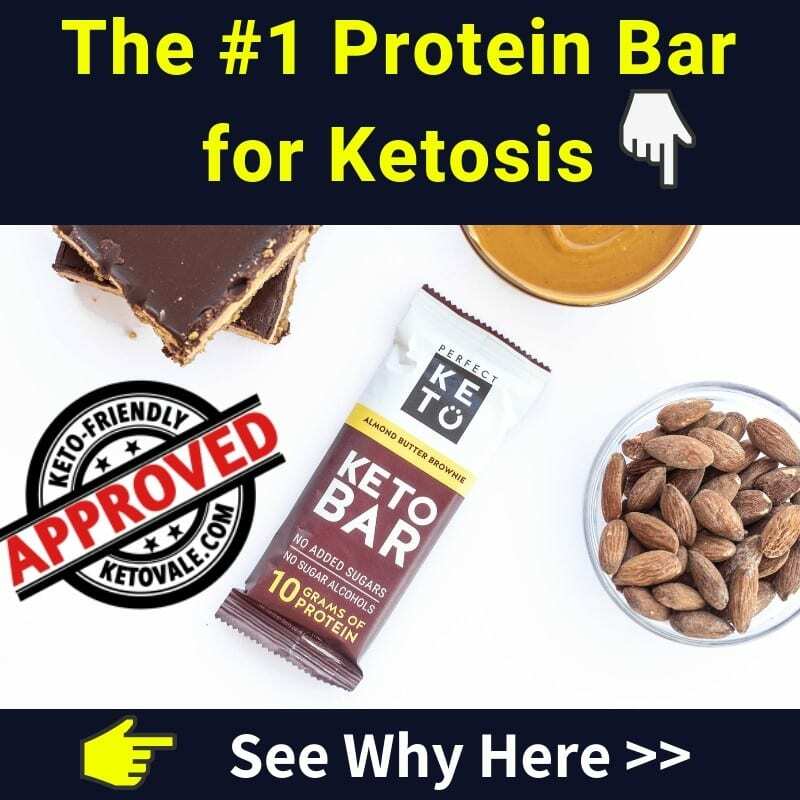 The products that we recommend and loved by our community is Perfect Keto. 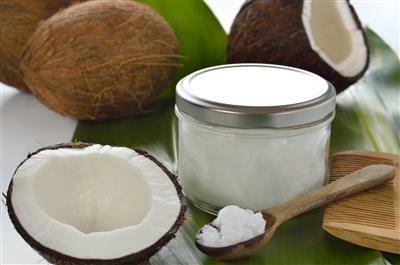 Their products are pure and 100% derived from coconuts. It’s designed for rapid absorption for high-octane physical and mental performance. Ghee is also known as clarified butter and is made from butter that has been heated up and filtered to remove the trace milk proteins and sugars from it. For people with a sensitivity to dairy (either to lactose or to casein), ghee can be an excellent good alternative to butter. 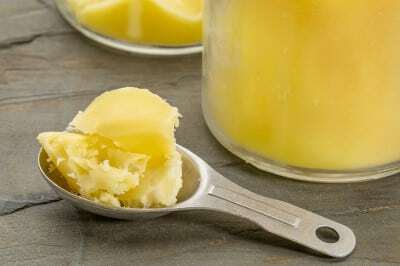 Tips: Ghee has a higher smoking point than butter and can, therefore, be used for high-temperature cooking. It has a taste that some people find particular, but that you can easily get used to. Another excellent choice for keto. People who have problems with dairy sometimes avoid butter (and choose ghee instead, where any remaining milk proteins have been removed), but apart from that, if you’re not particularly sensitive to dairy and to butter in particular, there is no reason to avoid it. When buying butter, opt for grass-fed, for a better nutritional profile and an equal Omega 3 to Omega 6 ratio (in grain-fed butter Omega 6 is much higher). Nutritional highlights: Butter is a good source of vitamin A and carotene, and grass-fed butter contains vitamin K2, which is essential for the absorption of vitamin D. Moreover, butter contains naturally occurring CLA (conjugated linoleic acid), promoting heart health and faster fat loss in people who are overweight. Tips: You can use butter for cooking or baking. When cooking with it, you should be careful not to burn it (i.e. not to leave it to heat up too much after melting before putting the other ingredients in the pan). Lard, i.e. pig fat, is a very good source of Vitamin D, so if you have some leftover bacon grease, don’t throw it away, but keep it for the next time you cook. There is no reason to fear lard, as the link between saturated fats and elevated LDL (the “bad”) cholesterol has been disproven many times. Different types of lard are available – they come from different parts of the animal and have varying amounts of flavour. Tips: You can use lard in the same way as butter and should store it in the fridge to prevent it from going rancid. Given how fatty the macadamia nut is, making oil from it doesn’t need a lengthy and complicated extraction process. It is very low in Omega-6 fatty acids, which is excellent news if you’re trying to improve the Omega-3 to Omega-6 ratio in your diet, and also means that it has a long shelf life and a low oxidation rate. Tips: It is relatively heat-stable, so you can use it for light cooking. It has a light, slightly nutty taste, which goes well with salads, too. 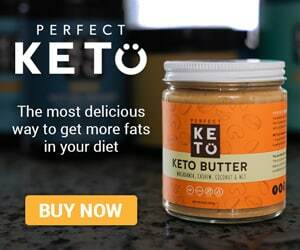 You can also try Perfect Keto Nut Butter, it’s a delicious way to get more tasty fats into your diet. Cocoa butter is mostly composed of saturated acids and around 30% monounsaturated fats, with a low polyunsaturated fat content. It doesn’t negatively affect LDL cholesterol but is mostly used in cosmetics, so finding it in its pure form for a good price might be challenging. Polyphenols contained in cocoa butter will a positive effect on your immune system and heart health (6). Tips: It will have a cocoa taste & aroma, so it’s excellent for desserts. The list above contains the most common fat sources you can eat on keto. Other high-fat foods you can eat can be found from egg, dairy products and nuts. Obviously, you might already consume fat (tallow) from fatty fish such as salmon and meats such as beef, pork, chicken, duck, lamb, etc… The best options are naturally raised, organic and grass-fed meat. It’s okay to choose regular meats if you have a small budget. Avoid polyunsaturated fats and trans fats from bad vegetable and seed oils such as canola, sunflower, soybean, corn, etc… or fast foods, processed foods and commercially baked goods. The number one question when it comes to your fat macros is, how many grams of fat per day you should eat on keto diet? The short answer is that it depends on many factors such as your goal, activities, and the purpose of keto (weight loss, managing medical conditions, etc…). You can check this guide to learn more! To keep it simple, if you follow keto for weight loss and general health, use this Keto Macros Calculator to find out how much fat you need to eat, along with other macros such as protein and carbs. 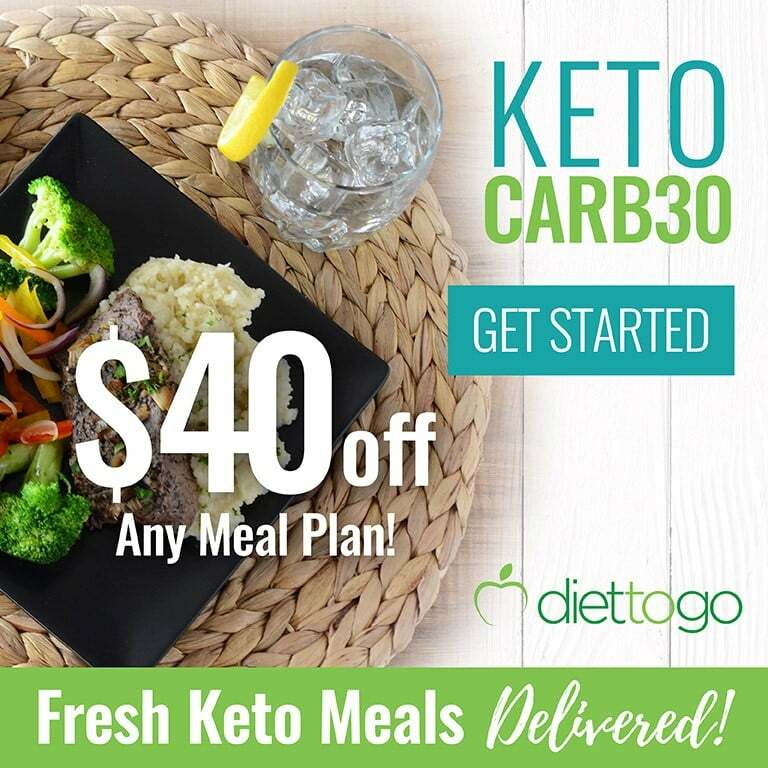 If you’re new to the keto diet, don’t forget to check our free keto meal plans and food list.